Federal Reserve Board Chair Jerome Powell pauses as he talks with Carlyle Group co-CEO David Rubenstein during the Economic Club of Washington luncheon, in Washington on Thursday. WASHINGTON — Federal Reserve Chair Jerome Powell, one of the nation’s top economic policymakers, predicted the economy is not going to plunge into a deep downturn this year. Several prominent economists and investors have said there’s a heightened chance of a recession by 2020. Larry Summers, a Harvard professor and former Treasury Secretary under former President Bill Clinton, said earlier this week that he thinks there’s “better than a 50/50 chance” of a recession in 2020. Powell stressed the Fed is “watching” the situation closely and monitoring potential cracks in the economy. His biggest concern is weakening growth in China and Europe, although he warned a prolonged U.S. government shutdown could become a drag on the economy. JPMorgan has estimated that the partial government shutdown — which turned 20 days old Thursday — is shaving $1.5 billion off the economy each week, a modest amount in the context of a $20 trillion economy, but an amount that will keep growing. While there is wide agreement that the U.S. economy will grow more slowly than the roughly 3 percent rate of 2018, there’s a lot of debate about how fast the slowdown will be. The Fed is projecting 2.3 percent growth this year, but the precipitous stock market drop in December was partly driven by fears that growth will be significantly lower than that. Powell also noted that it’s a problem that the Commerce Department is mostly shuttered, which means key economic data such as retail sales and GDP growth won’t be released later this month unless the government reopens. That makes it harder for the Fed — and investors and government officials — to understand how the economy is doing. Trump has urged the Fed not to raise interest rates at all this year. 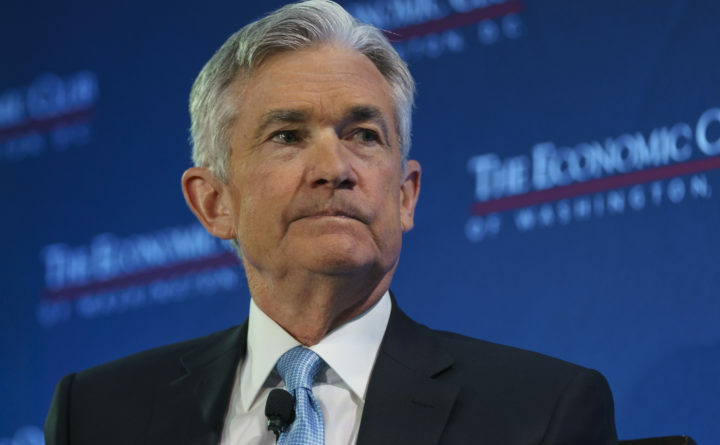 The Fed has projected two more rate hikes, but Powell is now signaling the Fed will be “patient” on any further hikes.